Controversial, moving and brilliantly acted, this film directed by Ken Loach is arguably the most influential television drama ever broadcast. Controversial, moving and brilliantly acted, this film directed by Ken Loach is arguably the most influential television drama ever broadcast. 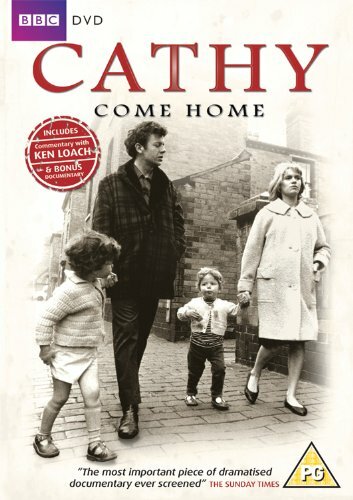 Watched by 12 million people — a quarter of the British population at the time — on its first broadcast on 16 November 1966, Cathy Come Home was a defining moment in British television history. It provoked major public and political discussion and challenged the accepted conventions of television drama. The film tells the story of Cathy and Reg, a couple with three young children, who find their life spiralling into poverty when Reg loses his well-paid job. Gripping and emotional, it remains a truly ground-breaking piece of dramatic fiction, engaging viewers with social issues, such as homelessness, unemployment and the rights of mothers to keep their own children. Utilising documentary-style filming on location, the film consolidated director Ken Loach’s reputation for hard-hitting social realism. Watched by 12 million people — a quarter of the British population at the time — on its first broadcast on 16 November 1966, Cathy Come Home was a defining moment in British television history. It provoked major public and political discussion and challenged the accepted conventions of television drama. The film tells the story of Cathy and Reg, a couple with three young children, who find their life spiralling into poverty when Reg loses his well-paid job. Gripping and emotional, it remains a truly ground-breaking piece of dramatic fiction, engaging viewers with social issues, such as homelessness, unemployment and the rights of mothers to keep their own children. Utilising documentary-style filming on location, the film consolidated director Ken Loach’s reputation for hard-hitting social realism.